Given the popularity of crime novels, it’s almost criminal in itself that it took so long for such a large catchment area as Medway to have its own major crime writing festival. Last Saturday’s inaugural Murderous Medway, under the Rochester Literature Festival banner, finally put that right. 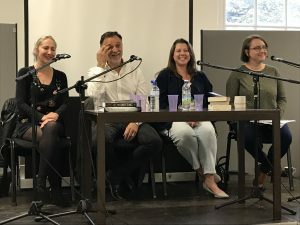 Five panels brought together published authors from Kent and further afield, giving readers and budding authors alike the chance to look beyond Medway’s famous association with Charles Dickens and immerse themselves in the excellent works of current authors. With careers forged in such diverse arenas as the legal system, policing, journalism, stand-up comedy, audio-visual production, commissioning, writing and acting, the array of talent on display was impressive. Murderous Medway achieved the tricky balancing act of giving the audience a bit of everything. 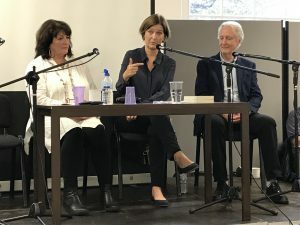 Julie Wassmer, Jane Lythell and Hugh Fraser explained how inherently difficult the task is for production companies to condense a hundred thousand words for the screen and cast main characters in a way that satisfies everyone. 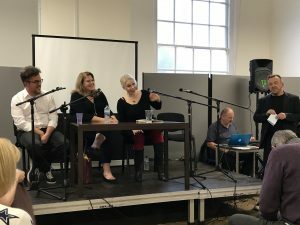 Kate Bradley chaired a discussion between Anna Mazzola, Simon Michael and Lisa Cutts about the difficulties of creating stories from their real jobs. Keeping it exciting, true to life and accurate, whether in a historical or contemporary setting, while avoiding dry and tedious procedural detail is not easy. The work of Guy Adams, Christi Daugherty and A.K. Benedict encompasses a multitude of media platforms while spanning and crossing more genres than you can shake a bookmark at. They have challenged the limitations of artificial labels imposed by publishers and bookshops, proving there is a readership willing to go anywhere with you if the story is plausible. 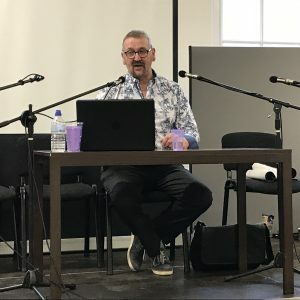 With such a wealth of knowledge from his time as a UK police officer, working with the FBI’s Behavioural Science Unit and interviewing the world’s worst serial killers, Paul Harrison is a man I could listen to for hours. In my experience no two of his talks are ever the same and his train of thought can take you from confrontations with the worst beings that society can produce to his beginnings as a copper where a helmet nicked on entry to a pub would always be returned on exit but with unsavoury contents sloshing around inside! With over thirty true crime books and his first crime novel under his belt, he’s well worth catching live or on the page. Mark Billingham is a man who has starred in and written the cult kids’ TV series Maid Marion and Her Merry Men with Tony Robinson, been an actor, presenter and stand-up comedian, performed with the Fun Lovin’ Crime Writers and written eighteen novels. So you might expect him to be entertaining. And he is. He is also warm, funny, helpful and informative but under no illusions that writers are in a privileged but nonetheless precarious position. He revels in audience interaction which sparks off a multitude of anecdotes. Stories abound, from shifts spent with police officers where the hilarious reasons behind nicknames are revealed to nights spent looking after the homeless, from appearing on some bizarre festival panels to being held hostage in his hotel room. 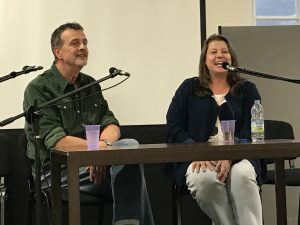 Mark Billingham could do a one-man festival easily but like all crime writers he wants to share the stage, willing to help budding authors join the gang, believing there is room for everyone. Thanks must go to Festival Director Jaye Nolan and her team, Urbane Publications, Harbour Books of Whitstable, Medway Adult Education Department, the University of Kent and everyone else involved for a fantastic day. Although I missed The Curious Case of Cuthbert’s Curse performed by the Alternate Shadows Theatre Group, there is Murder Most Medway on 9th October and ‘Three Cs’ Crime Writing Workshops on 13th October to come. I hope Murderous Medway returns for many years. 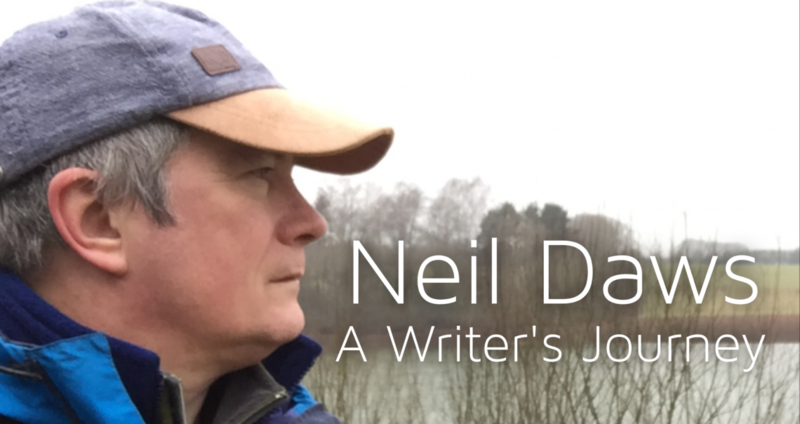 Neil Daws Copyright © 2018 All Rights Reserved.